Usability is one of the key elements required for successful website design. You’re likely familiar with the concept, even if the term itself is new to you. The basic idea of usability is that products or services need to be easy to learn about and operate if you expect people to adopt them into their daily lives. While we’ll be dealing with the way usability impacts your website, it’s a concept that applies to just about any object created by people, and it’s especially important for complex items. Modern vehicles provide an excellent study in usability, for example. Most new vehicles are loaded with technology designed to make life easier for drivers. Bluetooth connectivity, GPS, and touch screen controls are great, but only if drivers can actually figure out how to use them. On your website, navigation, design, and accessibility are the keys to usability, and to your customers getting maximum value from your site. The usability experts at Nielsen Norman Group break the concept down into 5 key areas: learnability, efficiency, memorability, errors, and satisfaction. Each of these concepts stresses the importance of designing a site that is easy for visitors to learn to use, and that works efficiently once visitors know how to use it. If you get the learning process right, there’s a very strong chance that your user satisfaction score will be high. Navigation is vital to your site’s usability. Before visitors can learn about your site and use it efficiently, they must be able to locate the information they need to do so. Simple navigation is logical, consistent, and uses language that’s familiar to the reader. If your site is designed for retail, consider topic-based navigation to make it easier for users to find their desired department. If your site is designed to complete specific tasks, like filling out forms, managing accounts, and speaking with customer service, use task-based navigation instead. Accessibility is another key element of usability. When a person with a disability or visual impairment visits your site, you want them to have the same great experience as anyone else. In some provinces, governments are even introducing accessibility regulations for websites. Improving accessibility is primarily about providing options. Choose colours that contrast well for text, offer visitors the option to change font sizes, and provide multimedia choices for understanding core concepts, such as video. Offering text-to-speech is another great way to increase accessibility, and ensure that everyone can enjoy your content. Every website is different, and improving your usability will require honest, reliable feedback. User testing is the best way to get that feedback, allowing you to constantly improve your site over time. You’ll get better feedback running regular, small-scale usability testing than you will from large, single tests. While you can test usability down to granular detail, big-picture items are most important. Can visitors find what they’re looking for? Are they able to use it once they find it, based on the instructions provided? You don’t need an elaborate testing setup to evaluate your site. The key is to find test-takers who would actually use your site, and encourage honest feedback. Stay in the room, and take notes as you watch people use your site. Improving usability is a win-win for your web design. Visitors love to come back to sites that are easy to use, and you’ll also be opening your content up to people who may not have been able to enjoy it otherwise. If you sell products or services through your website, improved usability means more completed transactions, and fewer abandoned shopping carts. Take the time to test and optimize usability on your site to reap the benefits for your Calgary business. 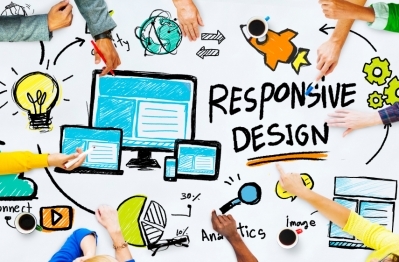 Emphasize Design offers all of the web design services you need to outshine the competition. Get started by learning how we can help you secure more leads with effective online marketing!